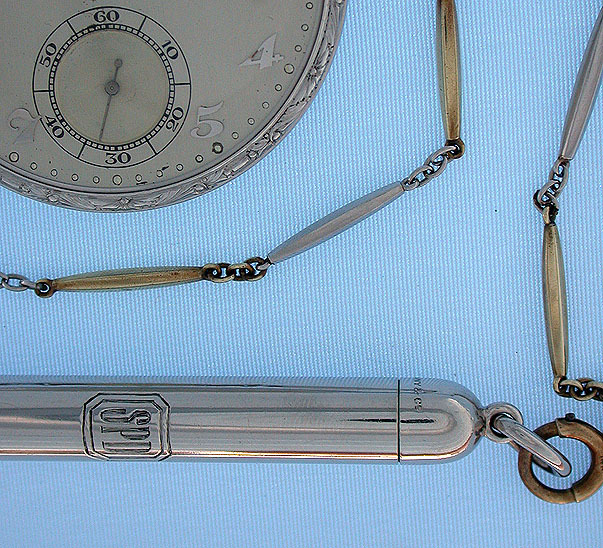 Fine Swiss Meylan Art Deco platinum pocket watch with chain and pencil circa 1920. 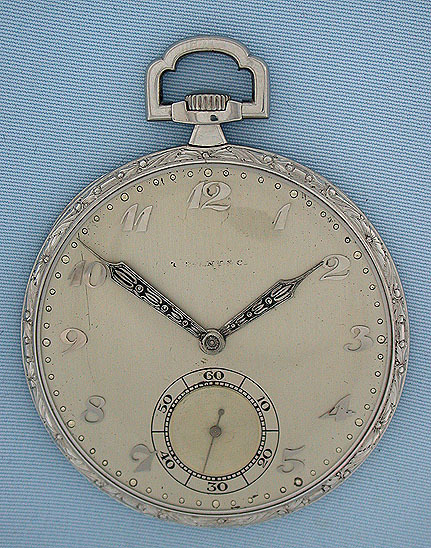 Original silver dial with applied numerals and fancy hands. Plain polish slim case with fancy bezels. 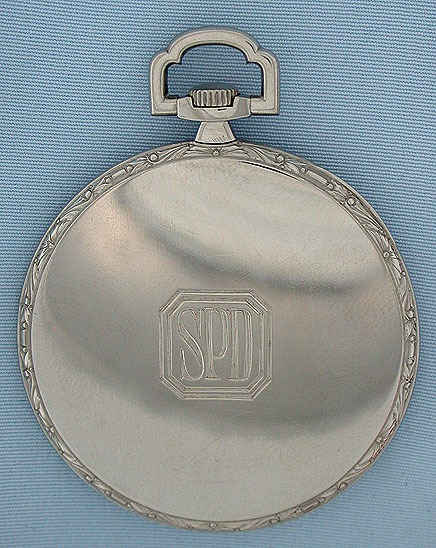 High grade nickel 19 jewel 7 adjustment movement. 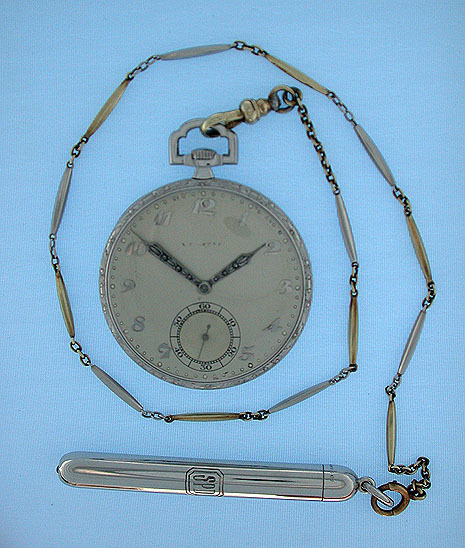 With platinum and gold 15 inch chain and platinum and gold pencil signed Tiffany. Matching monograms on the watch and pencil.